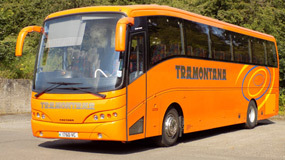 Tramantona are a specialist coach hire, coach service and coach repair centre, based in Motherwell, Lanarkshire serving Central Scotland and further afield. The company has been established since 1983, still offering Coach Hire, Coach Repairs, Breakdown and MOT Service. Specialists in all areas of the coaching industry and Centrally located near Motherwell, Tramontana Coach are ideally located to serve the entire Central belt of Scotland. 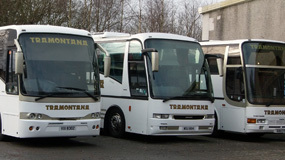 Tramontana coaches are fully equipped with a minimum of 49 recline seat coach hire or mini bus hire. All coaches are no smoking - see more specification on our coaches. The company also have at their disposal, smaller vehicles ranging from 16 seats to 33 seats. Tramontana offer a full on site accident repair service including insurance estimates MOT Checks and MOT preperation - Specialists at keeping your business on the move. Tramontana Coach are fully equipped with their own body shop and coach repair centre. The company have been established since 1983. Offering Coach Hire, Coach Repairs, Breakdown and MOT Service. Specialists in all areas of the coaching industry. Centrally located near Motherwell, Tramontana Coach are ideally located to serve the entire Central belt of Scotland. Tramontana Coach are one of very few companies to have a on site fully equipped coach workshops and offices based in Central Scotland. 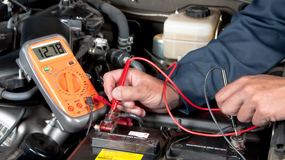 This allows the company to carry out coach servicing, coach repairs and coach MOTs on site. This can reduce outsourcing time delays and lost time on the road.